Every so often, a horse person stumbles across an animal that changes his or her life. 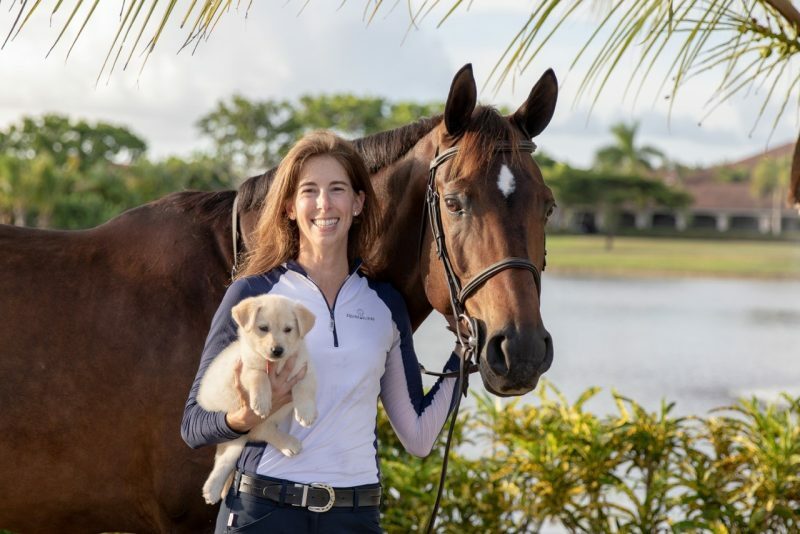 For Elizabeth Ehrlich, it was Bella, a 7-year-old warmblood who walked off a horse trailer and turned Elizabeth’s life on its head. After developing ulcers, the mare inspired Elizabeth to create her own formula to promote good equine gut health. Within 18 months of developing the product, Elizabeth walked away from her law career to concentrate on her flourishing company, Equine Elixirs, and the all-natural gut health supplement, Ulceraser. 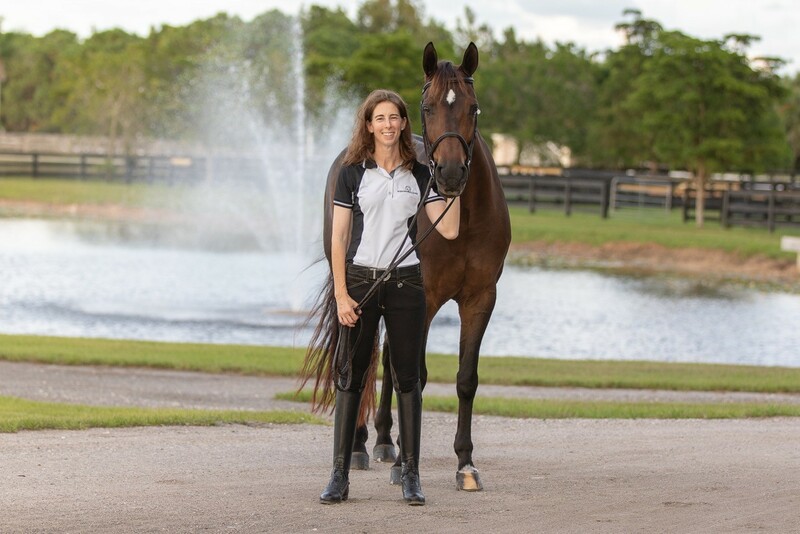 Growing up in Ridgefield, Connecticut, Elizabeth had her first taste of the equestrian life when she was around 5 years old. It started as daddy-daughter weekends away with her father and younger sister. “My mom told my dad he needed to take my sister and me out of the house on the weekends so she could recover from taking care of us during the week,” Elizabeth remembered. “On these weekends, he would take us for pony rides, and the pony rides turned into pony lessons, and then we were leasing ponies, then buying ponies, then there was the breeding of ponies. “It got to the point where my mom was begging us to not spend every weekend at the barn, to come back and spend some time with her,” she added with a laugh. Elizabeth’s love of horses grew from there. Throughout grade school, she was a regular at Pendleton Farm, a small stable in North Salem, New York. It was there where, alongside her family, Elizabeth learned how to care for horses and progressed through the hunter ranks. Even through college and graduate school, horses called to Elizabeth. 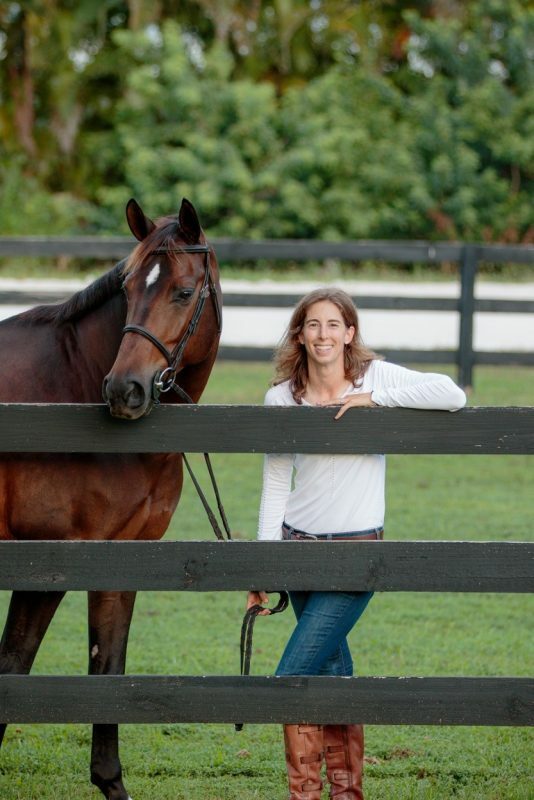 While studying at Tufts University, she would travel home to ride and show her dad’s horse. And despite the long hours it took to get her law degree at Boston College, she still found time to sit on a horse. After law school, Elizabeth moved to New York, beginning a six-year stint at a law firm in Manhattan. There was no time for riding. After graduating from Boston College Law School, Elizabeth took the Connecticut and New York bar exams, but she also took the bar exam for Florida. She had long been drawn to the state’s palm trees and blue water, and her 10-year plan included a move south. As fate would have it, she met her husband-to-be, Douglas Bookbinder, who worked in New York but was based in Florida. “I would visit him and we would drive around, see some barns and meet people,” Elizabeth said. 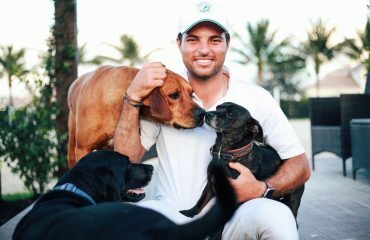 “I knew Wellington was the horse capital of the world — at least over the winter.” She made the move to Palm Beach in 2012, well before her 10-year plan expired, and was back in the irons six days a week not long after. Then Elizabeth met Bella. A sale horse, Bella had come off a truck to be tried but wasn’t a good fit for the intended rider. Elizabeth, on the other hand, immediately fell in love with the mare. Soon, she was talking to Doug about adding to the family. By fall 2015, Bella had joined the Ehrlich family. With her curious, food-driven personality and a bay coat speckled with dapples, Bella was about to throw a curve into the pathway of Elizabeth’s life. About a year after Elizabeth purchased her, Bella started acting strangely. 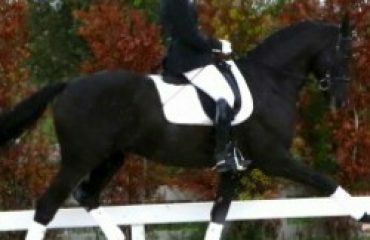 Normally quiet and responsive, the mare had become a little unpredictable under saddle, spooking and acting sulky to the leg. Bella showed improvement after a course of omeprazole, but Elizabeth wasn’t finding great product options to maintain a healthy gut. Bella reverted back to showing some of the cranky behaviors, and the cost of the maintenance products started to add up. Elizabeth began to research. She pored over online medical studies and went in search of natural ingredients with the amino acids and omega fatty acids she was reading about. She combined these ingredients and tested them at different ratios using Bella as her initial test subject. Inspired by the positive changes in Bella, Elizabeth started reaching out to friends and other horsemen. Everyone agreed: Maintaining equine gut health was a problem. She sent samples to everyone in exchange for honest feedback. After two weeks, the reports were in: The horses on the supplement were quieter and happier with improved coats and appetites. And that’s how Equine Elixirs was born; Elizabeth dubbed the all-natural gut-health supplement Ulceraser. The first thing Elizabeth did was submit the product to a lab for a comprehensive screening that tested the product against all potential banned substances. 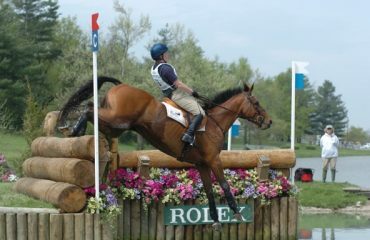 It passed with flying colors; Ulceraser was an all-natural, FEI- and USEF-safe product. Certificate in hand, Elizabeth began approaching athletes at the top of their sport. To Elizabeth’s surprise, many equestrian leaders were open to trying a new equine gut health product. Oftentimes, these influencers would put a few horses on Ulceraser, and over the course of weeks and months, more horses would be added to the oral routine. Soon, entire barns were including the supplement in their feeding regimen. Now Ulceraser can be found in the feed rooms of McLain Ward, George Morris, Quentin Judge, Scott Stewart and Patricia Griffith, to name a few. This past year, Elizabeth has been busy concocting and testing new products. In the works is a natural, non-crumbling horse treat that provides the same gut health benefits as Ulceraser. She’s also working on developing an all-natural alternative to Depo-Provera, a progestin used on mares (and sometimes geldings and stallions) for behavior-related purposes. The all-natural product will be administered twice daily during feeding, laying the groundwork for consistent results. Both products are expected to be released during winter 2018–2019. And both products are Bella-approved. With her focus steady on her growing business, Elizabeth quit her law career, opting to focus on Equine Elixirs full time. She still finds time to enjoy her beach lifestyle — she’s an avid scuba diver and underwater photographer. And although she and Bella have been missing from the competition ring, they’ve been keeping their skills up. 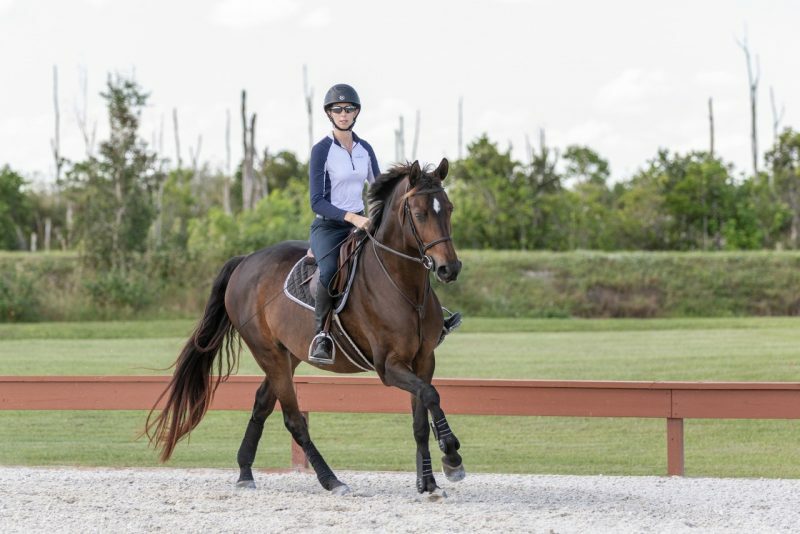 “These days, it’s more lessons, riding at home, doing some flatwork and jumping,” she said. 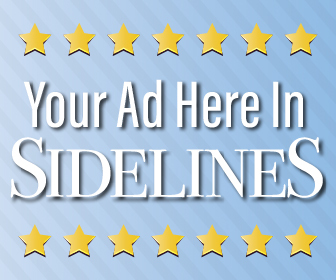 “I’m not so focused on getting into the show ring; I have other priorities at the moment. For more information, visit www.equineelixirs.com.